If no one has told you before, we’d take the opportunity to inform that it is highly recommended to clean the exterior of your home every 12 to 18 months. Cleaning the outside of the house – the walls, the patio, the roof etc., not only protects the paint and beauty, it also guards the home from harmful effects of mold and mildew. Like everything else, even buildings get dirty, as a result of which, buildings require maintenance and cleaning. Your home is also your investment just like anything else inside the house. Your house can live the test of time, and give returns to investment only when it is well maintained, and for maintenance – cleaning is most important. A clean home, both inside and out, makes people want to be in it. House washing in Auckland ensures the outside of your house is clean and maintained, so people in the neighborhood can site examples of the upkeep of your home. 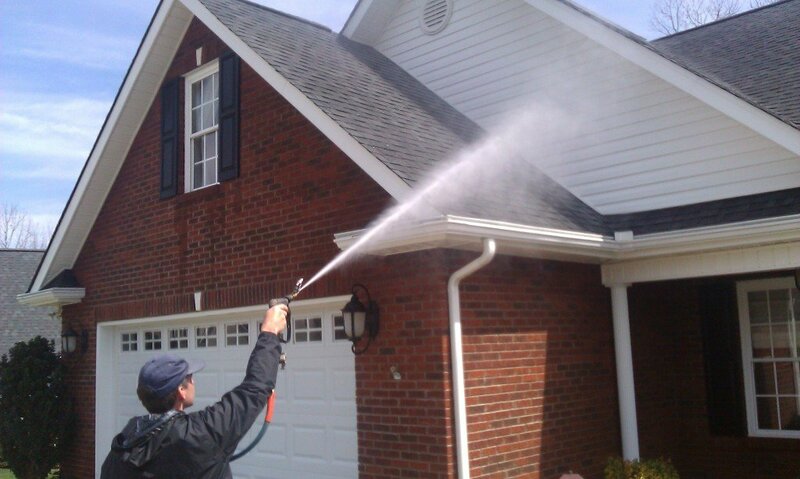 Pressure washing is basically the use of high-velocity water spray to clean the exterior of the house. Ideally, this kind of washing is considered important in preparing to paint the house. 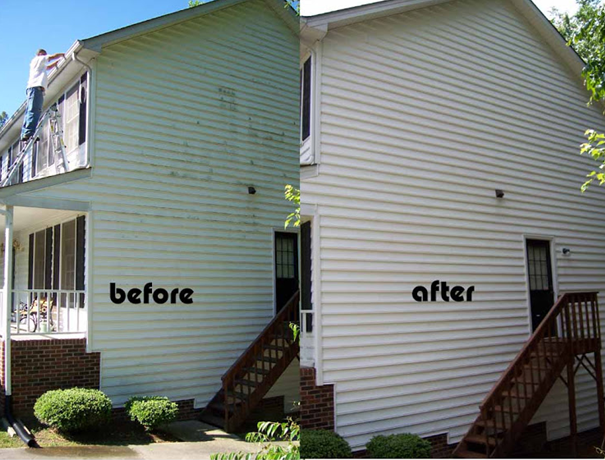 Power washing cleans up the exteriors off mildew, allowing the paint job to last longer and look better. There are two major ways to clean the house, one is to call in the experts and let them do their job, or you can try cleaning up the house yourself. Since, latter can be difficult, time consuming and risky, it is better to seek professional help in cleaning the home exterior. Why is pressure cleaning important? Pressure washing is a very technical task. Pressure of the water needs to be exact according to the surface of the material. It can often happen that you may damage the roof while pressure washing it yourself, or may end up injuring yourself with the pressure cleaning equipment. It is, therefore, recommended to take professional help for better and desired cleaning results. 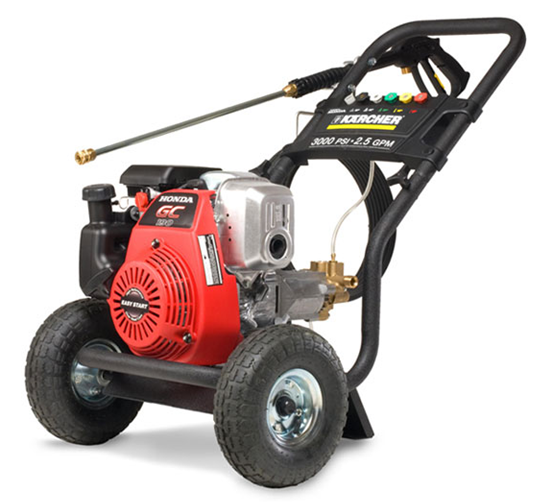 Pressure washing equipment including pressure washers is easily available in store, but it is not equally easy to handle. Finding the right pressure on the washer is difficult. Too little pressure means improper cleaning while too much pressure can damage the surface. Professional pressure washers are trained experts who come with their own pressure washers and safety gears. They are well versed with the fact that how much pressure is ideal for what kind of surface, expertise that allows them to cleaning any surface completely and easily. Picking the right contractor for the pressure washing task is really important. Make all possible scrutiny of the contractor’s previous work record and hire the one that guarantees efficient work in your budget. 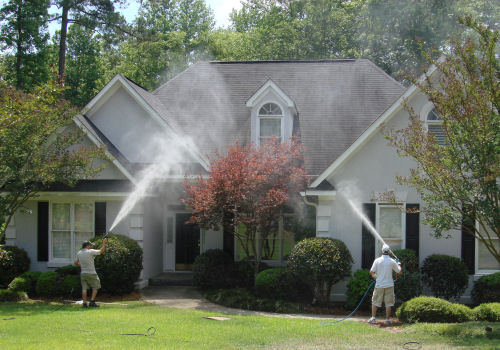 So just go for the professional pressure washing services to have a clean, hygienic and beautiful home. The biggest reason to choose professionals is because a pressure washer can easily damage a home if not careful. It is best to leave this task to the pros. I agree with you Dean, it can easily damage if not careful.Learn Properly first how to use a pressure washer and do it yourself. I learned a lot about professional pressure washing services by reading this article. Thank you for explaining that “Pressure cleaning your house thoroughly and frequently prevents it from exposure to various elements, which can degrade the roof, walls and siding off the house.” My family and I need to clean our roof so I will definitely have to look into professional pressure washing services to ensure that my roof is cleaned properly and thoroughly. I did not know that pressure washing was a good way to protect the exterior from staining and fading. It’s important to keep the exterior of your home protected to help it last longer. Keeping up on regular pressure washing would be a great way to increase the value of your home. Awesome read. I find alot of people don’t utilize pressure washers or power washers. There very easy to use and super portable. I actually own my own pressure washing company its the best clean you can get. Additionally if there are stains not coming off the surfaces try adding a soap mixture to the water. To clean it, you can use a mixture of a cup of chlorine bleach and a gallon of water. Leave it on the seal for about five minutes before wiping it off. It is suggested to wipe down the rubber seal after every use. Thanks for pointing out that too much pressure can damage a home while too little pressure won’t clean it properly. I imagine that knowing how much pressure to use would be tricky if you don’t work with pressure washing equipment regularly, so I can see how hiring a professional would be helpful. The pros would also know when it is safe to use a hot water pressure washer. Great article! Really like the part about… Once you’ve selected a contractor!!! Safety is very important but so is having fun. I have been using pressure washers for a number of years. Started off cleaning the outside of the property and even used them on the car! Also, very useful in the Spring to clear away all the Winter debris that has accumulated. I agree that finding a professional pressure washer would probably be easier than finding a machine in the store. In addition to this, it would probably save you a lot of time to hire someone to the job for you. My roof needs a good pressure wash so I’ll have to find a professional instead of trying to do it myself. Recently, my fiance has been thinking about getting a pressure washing service. He is trying to make sure that this is the best option for him and I thought I would help him research. I will let him know that the professionals will provide a good clean for him without him having to do anything. I never knew that pressure washing can save you a lot of home upkeep money. My parents are looking into purchasing a pressure cleaner for the outside of their home. Thanks for the information on why pressure cleaning is important. Thanks for explaining that too much water pressure can damage a surface. The side of my house has picked up a lot of dirt and grime these past few years, and I would like to get them cleaned up before my parents come to visit. Getting an experienced power washing company to apply the right amount of water pressure when washing my home sounds like a great idea!